I love finding hidden streets when I travel; streets that are off the beaten path and not congested with tourists pushing each other in hopes to get the “perfect photo.” Thankfully I found this one. 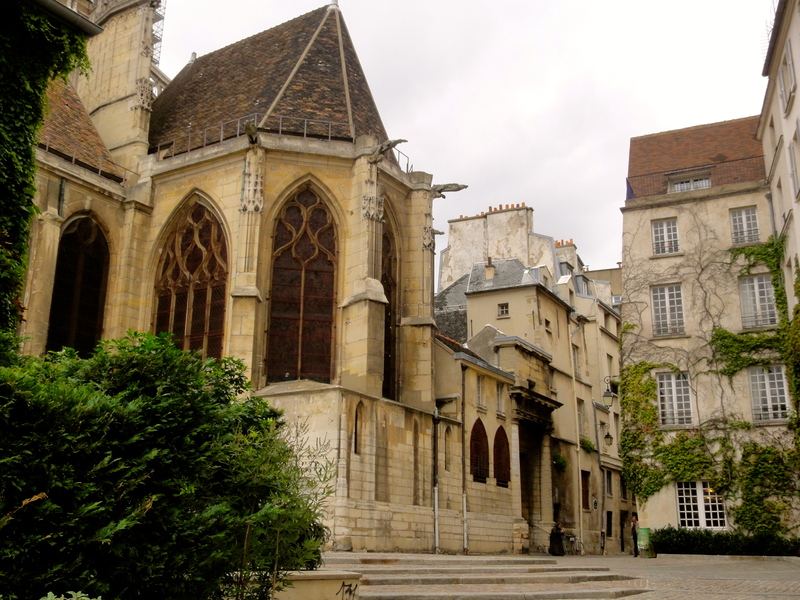 A casual stroll through the historic cobblestone street of Rue de Barres in the Marais district, located in the 4th arrondissement, passes by the Church of Saint Gervais. 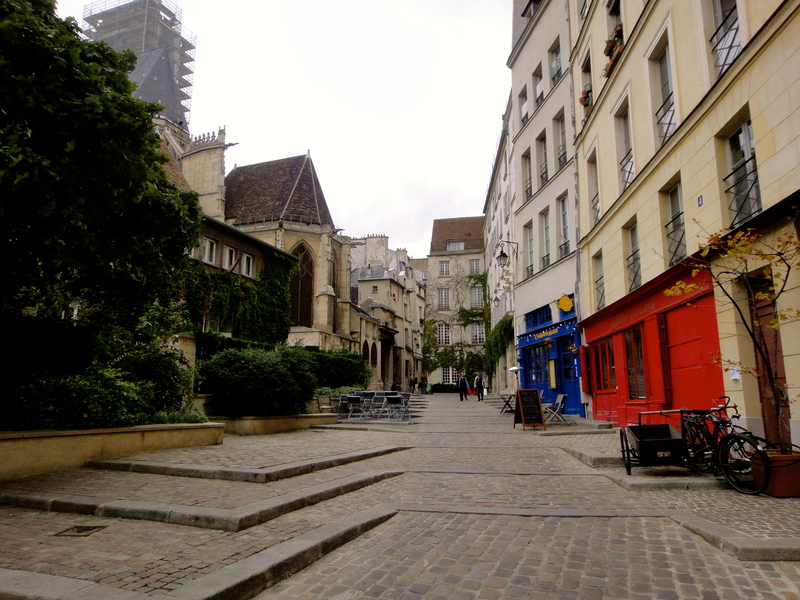 This street is located near the Notre Dame cathedral, and is reminiscent of the medieval period. You get an overwhelming sense of history when walking through the 4th arrondissement, and the Rue de Barres is no exception. Can you imagine having a fresh baguette from a local boulangerie with a selection of cheese from the nearby fromagerie on a balcony overlooking this scenery? !